All great online stores, including the likes of Amazon and eBay, have a wish list feature that lets you take note of things you’d like to purchase later. But wouldn’t it be great if digital content stores like Cydia touted something similar? If you answered ‘yes’ to the question above, then we’ve got some great news for you. 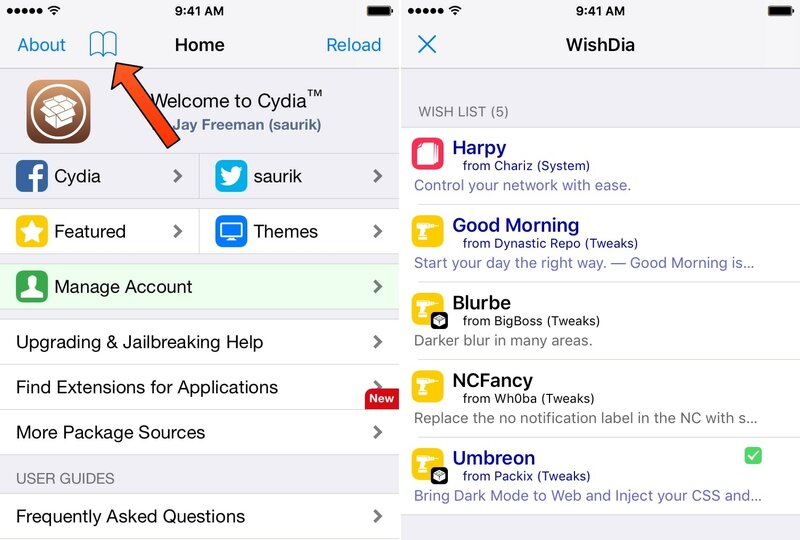 A free jailbreak tweak called WishDia by iOS developer Julio Verne incorporates a wish list into the Cydia app, letting you jot down jailbreak tweaks that you’d like to download in the future. 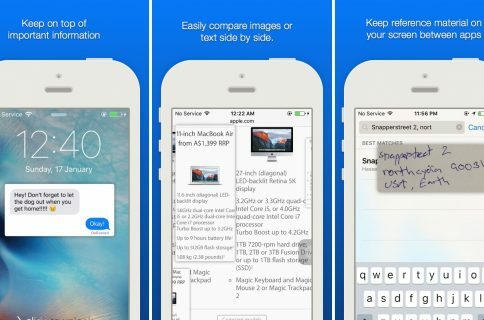 As depicted in the screenshot examples above, WishDia appears on Cydia’s primary homepage as a bookmark-style icon in the app’s Navigation Bar, just right of the blue About button. Tapping on it launches the WishDia wish list, which encompasses all the jailbreak tweaks you’ve added to your wish list. As you can see, WishDia lets you add both free and paid tweaks to the wish list, which is useful for future planning or saving paid tweaks for later when you scrounge together some extra cash. WishDia doesn’t come with any options to configure; that said, what you see here is ultimately what you get after installing the tweak. Fortunately, using WishDia is mostly straightforward, so it won’t take long to get the hang of using it. If you’re ready to start adding jailbreak apps and tweaks to a dedicated wish list in Cydia, then you can download WishDia for free from Julio Verne’s beta repository. The tweak plays nicely with all jailbroken iOS 11 devices. What are your thoughts about having a wish list feature in the Cydia app? Let us know in the comments section below.